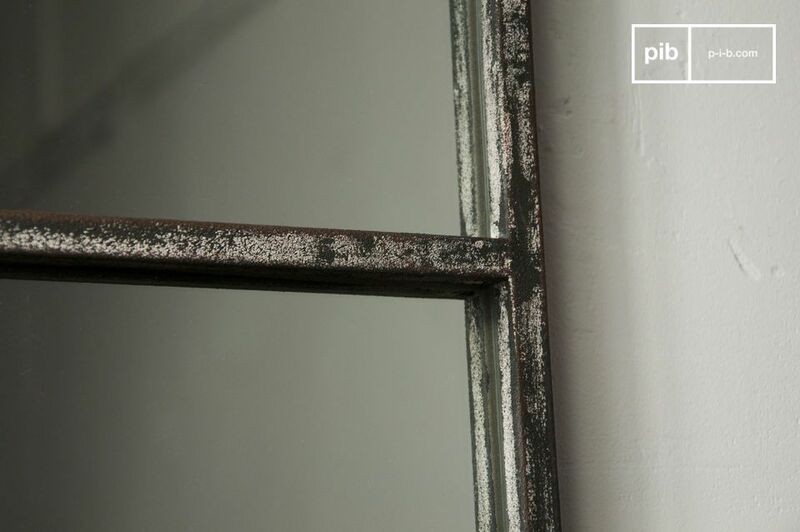 The 9-section square mirror is a decorative accessory that enhances your interior. 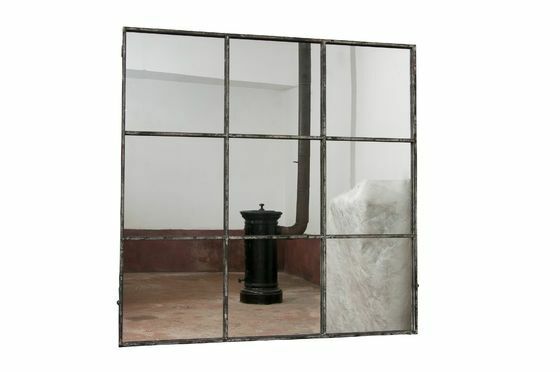 Entirely made of patinated grey metal, the mirror frame divides the mirror into nine distinct squares. 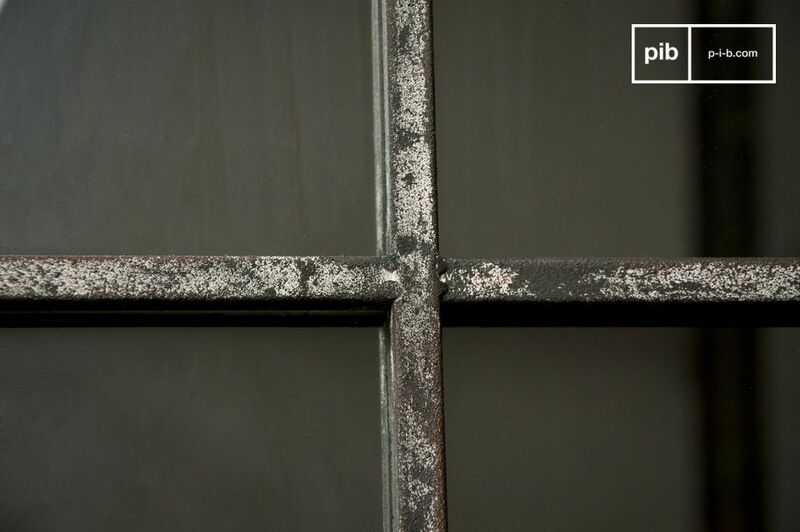 The design of the frame recalls an old workshop window, reinforced by its slightly white patina, applied to a textured metallic finish, giving it an aged appearance. Thanks to two fixing points, this mirror is easily fixed to the wall. 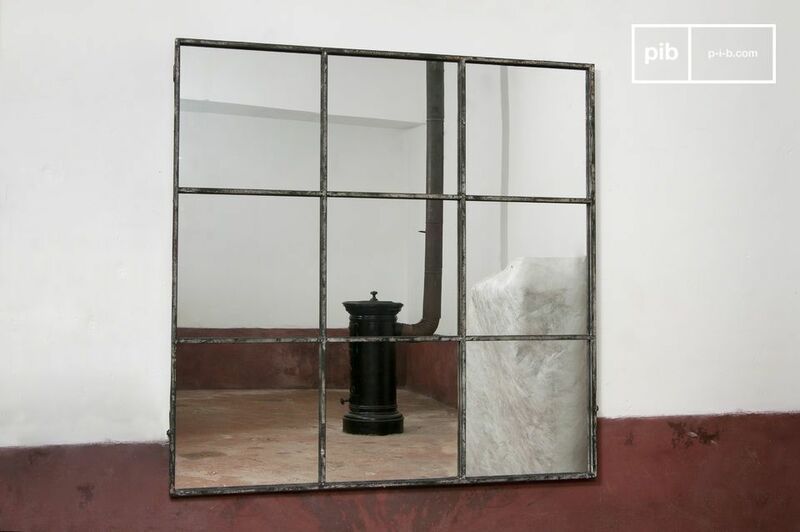 The 9-section square mirror will be your perfect ally to highlight the vintage industrial character of your interior, while offering lots of light and a feeling of increased space. It would be ideal in a beautiful living room already amply decorated in an industrial style, but can also be used very well in the entrance hall, to bring light and allow you to make the final adjustments on your outfit before going out. "High quality and really very beautiful"
Very nice product.Really what I wanted!!! !